The ACQ-14-2G, High Speed, High Resolution transient recorder is the best solution for high dynamic acquisition of fast analog signals. ACQ-14-2G performs the coding of 4 analog channels with a bandwidth of up to 300 MHz, over a 14-bit dynamic range and at a sampling frequency (Fe) reaching up to 2 GHz with 2520 usable points of memory per channel. 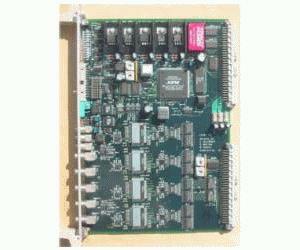 The ACQ-14-2G is a VME 6U card with also a USB & GPIB interface.